If you have seen Be My Valentine, Charlie Brown by Charles M. Schulz I would love to hear what you think about what happened to Charlie Brown in this animated children's classic. I look forward to your visit and hearing whether you were horrified, too or whether you think it was no big deal and that Charlie Brown was up to the task. 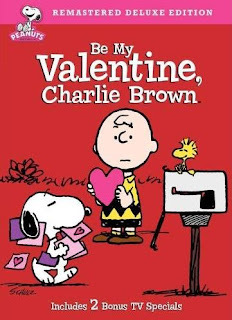 And in case you were wondering, Be My Valentine, Charlie Brown is NOT available on blu-ray disc. Buy your copy of Be My Valentine, Charlie Brown from Amazon.